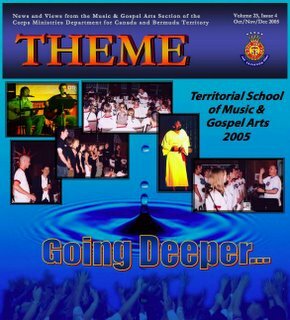 There's now an article online which highlights how the Spirit moved last summer during the Territorial School of Music & Gospel Arts near Toronto. Click here to download the PDF. For my postings on the event go to my archives for August and September. Photos by Kim Garreffa, except for stock water picture.